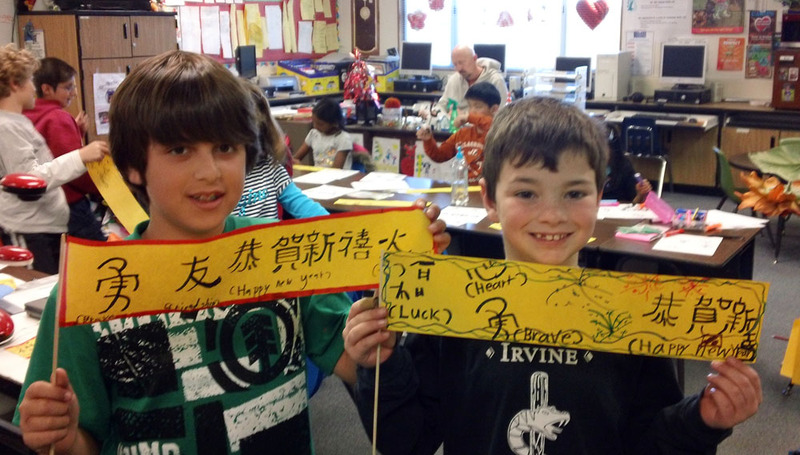 The past 2 weeks students have been celebrating Chinese New Year and learning about the Chinese culture in general. With that in mind, we made Chinese yo-yos. 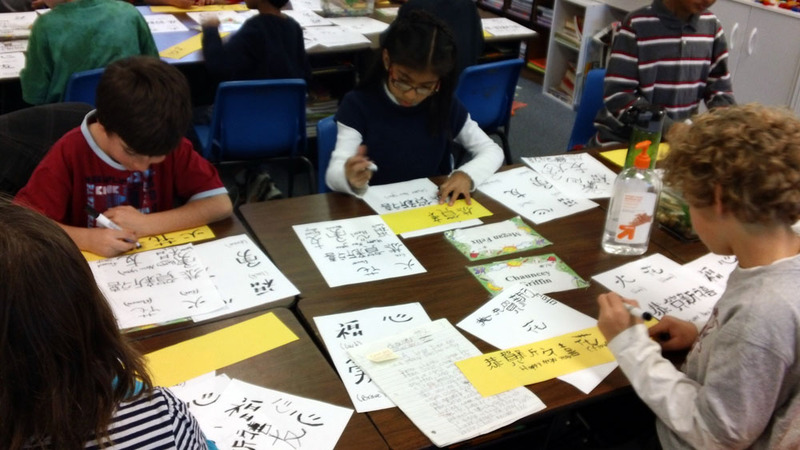 We talked about how the Chinese doesn’t have an alphabet, but uses symbols that represent words. I found interesting symbols on the internet and we talked about how the symbol for “heart” looks like a happy face, “fire” looks like a burning fire, “brave” looks like a warrior etc. 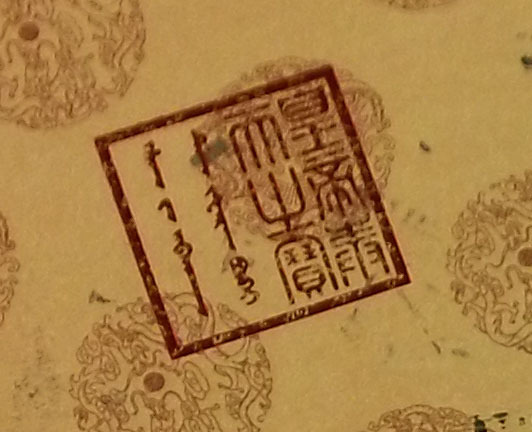 Of course, I also included the symbols for “Happy New Year” . 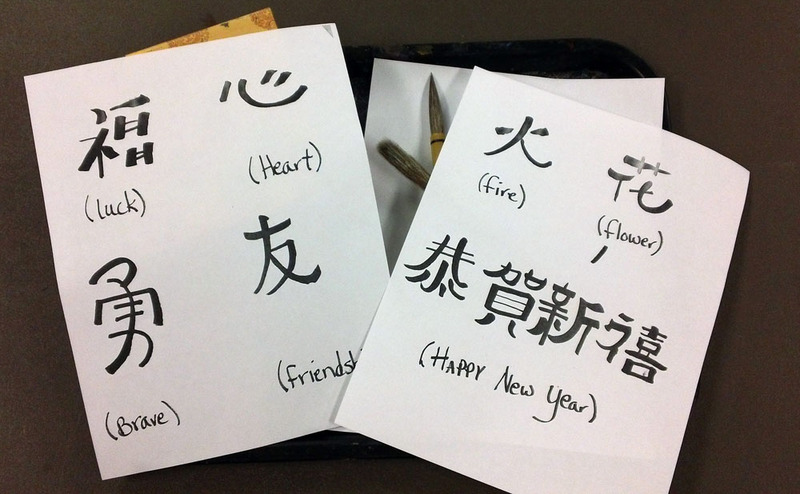 We also talked about what symbols and colors in general are important in Chinese culture. Lucky colors are red and gold, coins, dragons, chrysanthemums, fish, etc. 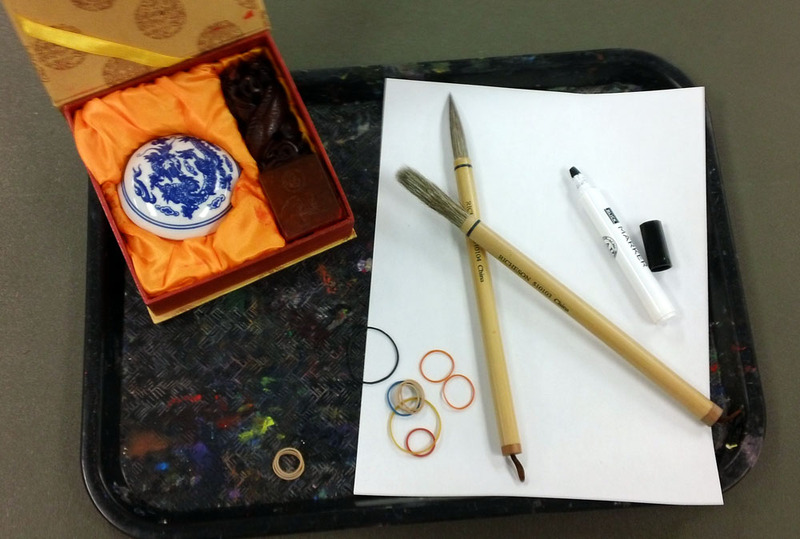 We then talked about the brushes used for calligraphy noting that the brush bristles were very thick, long and tapered, which allows artists to “load” their brush with lots of ink and then make the brush strokes very thick to very thin by how hard they pressed down on the brush. Some artists now use pens with nibs or markers that have the 45 degree angle which helps artists get the thick to thin look. Students received a thin white paper (copy paper) for practicing/tracing, 2 sheets of symbols to trace, black Blick markers with the pen angle, and a yellow paper for the final yo-yo design. After practicing their calligraphy (I was excited because so many decided to free-hand their work instead of copying and with much success!) they put it to the yellow paper! Then they added a little color with their own markers. The last step is to tape the end of the paper to a thick bamboo bbq skewer (with the end cut off) and rolled it tightly up. We rubber banded it and 10 minutes later the paper was trained and the yo-yo could be used!